Are you a building manager or property owner who is struggling to find an effective solution for keeping your gravel pathways and landscaping intact after drainage issues? A wide range of products are available, including covers and polyurethane sealants that help to mitigate the problems. Unfortunately, many businesses across the country are left with an inferior soil stabilizer that fails to meet all of their needs in a cost-effective manner. 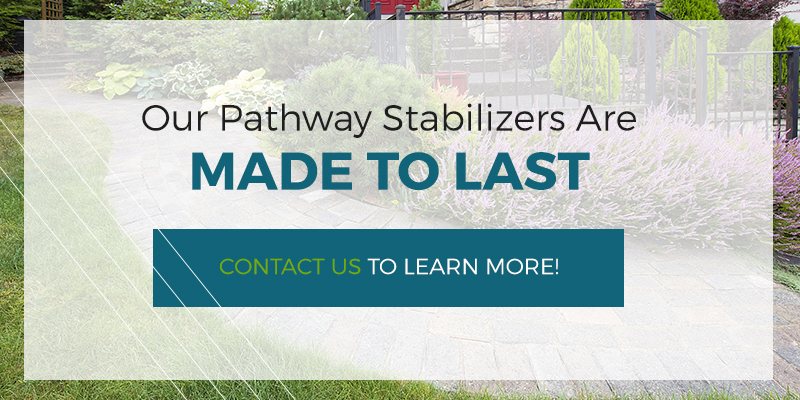 After combining with Klingstone Paths, Howell Pathways has worked to create the best pathway stabilizer in Texas for commercial sites nationwide. With more than 30 years of experience, our team is able to provide versatile solutions to protect your pathways from water runoff, heavy wear and tear, and so on. Instead of paying a hefty price for a polyurethane sealer that doesn’t meet the task, turn to our versatile soil and gravel stabilizer for an effective solution that is sure to exceed your expectations. Our pathway sealant is affordable, durable, safe, and easy to install for all types of projects. Read on below to see a few of our commercial clients that received beautiful and long-lasting results for their site. All across the United States, property owners are dealing with golf course runoff that causes a number of problems for both the guests and the environment at large. When heavy moisture accumulates on your packed soils, it can combine to flow along the ground, absorbing harmful contaminants along the way. In recent years, results have been collected that indicate the prevalence of water runoff problems, and how much more problematic this runoff can be in terms of spreading pesticides versus other issues, such as leaching. Beyond chemical concerns, silt, gravel, and other contaminants can wash out during heavy rainfall, dirtying the water supply and putting additional demands on your local water management facility. Water runoff can also create serious problems in keeping your golf course pathways and features intact. Saturation can create soil instability, creating a bigger risk of damages and shearing. If left untreated, this problem can begin to wash away your pathways, dirtying the course and creating travel challenges for your guests. 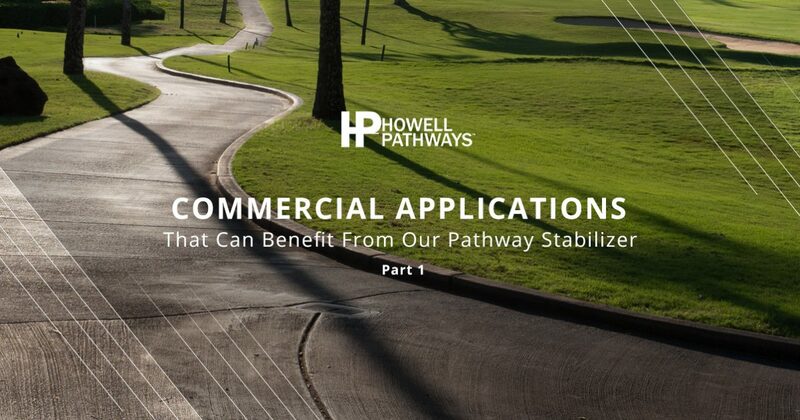 Howell Pathways was originally developed for use on golf courses, and our landscape stabilizer is able to deliver superior performance to enhance your site. As a complex site that aims to provide ethical habitation for animals of all types, your zoo likely sees a lot of foot traffic. On a daily basis, hundreds or thousands of guests are traversing a labyrinth of pathways, utilizing a series of natural avenues to spectate all of the amazing animals. What this means for you, as the property owner, is the challenge of finding an effective solution to keep each path protected from footfalls and rainfall. Since your paths are in close proximity to animals and guests, it’s also important to find a pathway stabilizer that is as safe as it is effective. Klingstone Paths is a sealant that cures to an inert substance that does not fade or erode, ensuring that your walkways are environmentally neutral. You can place our gravel stabilizer yourself or let our professionals do it. Pay-to-camp and other popular camping sites often struggle trying to balance the beauty of untamed nature with the practical needs for human enjoyment. Heavy traffic to your campground can cause a lot of wear on your natural pathways, resulting in premature breakdown that can create a nuisance for your staff. Commercial and public sites across the country can benefit from our proven walkway solution. Next time, we’ll continue this series by highlighting a few more businesses that may require an effective polyurethane sealer for big gains. If you’re looking for such a solution, we proudly supply the best pathway stabilizers in Texas for nationwide use. Howell Pathways has combined with Klingstone Paths to create the best products for our loyal customers. Contact us today to see how we can enhance your property!